Operation LinkedIn: When Should I Post? 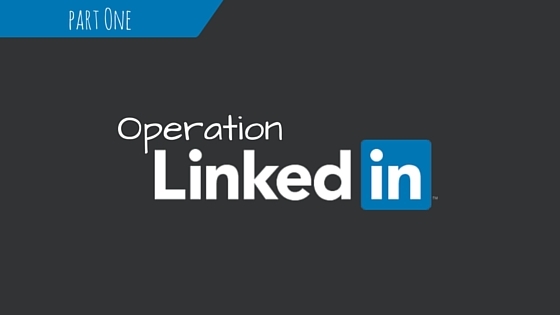 Home - Social Media Marketing - Operation LinkedIn: When Should I Post? Believe it or not, there is a window for when it is best to make a post on LinkedIn. Between 11:00am and 3:00pm is your golden gate of opportunity, and it’s best that you not miss it! Traffic on the internet is at it’s highest between these times, so take advantage of this by trying to post relevant or helpful information. Keep in in mind however, that this window is mostly important during the workweek. Weekends are a little more flexible, so don’t stress about posting within a certain time frame, relax and enjoy your weekend! Start by logging into LinkedIn between 11-11:30am, this way you will have time to think about and plan what you want to post. LinkedIn allows you to link material from other sources on your posts, meaning you are not confined to content from other LinkedIn users.You know what that means? You have the entire internet world to find and post relevant information and last time we checked, the internet was big. Really, really big. So what now? You’ve learned when is best to post, and that you have access to the vast internet to find relevant material, so what’s there to do? Send out your post of course! It’s important to note here that your post is supposed to be relevant. Meaning that if you sell agricultural equipment and you are posting about the latest trend in women’s socks, you may be off the mark just a bit. Well actually, a lot of bit. It’s important to understand who your customer base is and try your best to appeal to that. If you’re looking for some sites that may hold interesting material, try equipmentworld, truckinginfo, or agweb. So get posting, and don’t miss the window! Hopefully you have found this post helpful, and if you enjoyed it let us know! Also be sure to subscribe and stay tuned for tomorrow, where we’ll be talking about how to improve your LinkedIn summary.